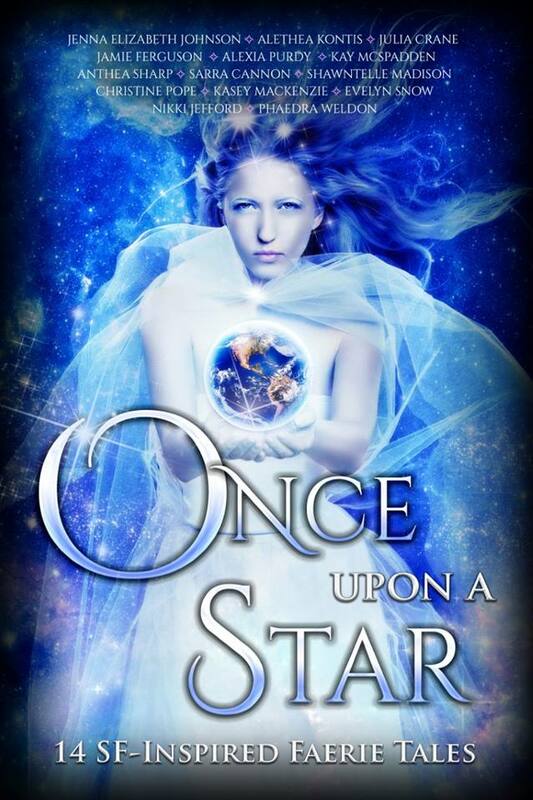 I am so excited to announce that our next ONCE UPON anthology, ONCE UPON A STAR, is now LIVE! Best of all, it’s specially priced for release week for just $0.99!! 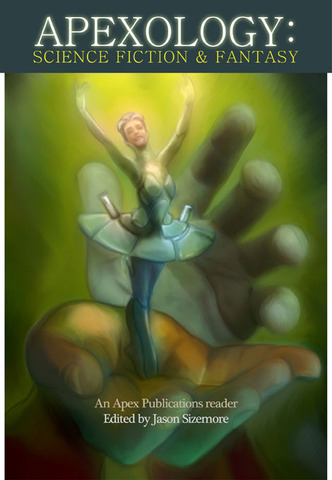 That’s right, all 14 stories for just a dollar…starring my long-awaited SF tale “True.love“! From the bestselling authors of the award-winning Once Upon Anthologies, the next fabulous volume is here! Revisit your favorite faerie tales, masterfully retold in science fiction settings with delightful, and sometimes chilling, twists. 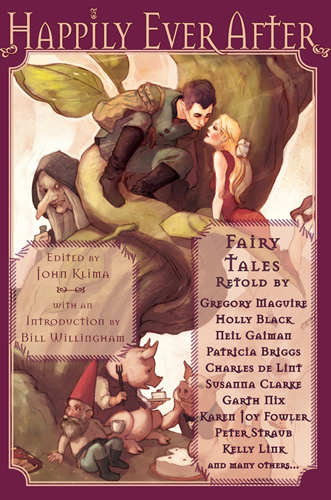 These fourteen tales will entertain and inspire you, and you’ll never see your favorite faerie tales quite the same way again. Grab your copy of Once Upon A Star, and don’t forget the other anthologies –Once Upon A Curse, Once Upon A Kiss, and Once Upon A Quest–for more magical retellings! Get Once Upon a Star now, at these fine retailers! You know those stories that you have so much fun writing and submitting that you completely forget about them until a friend mentions that they’re available for sale? Well, that’s what happened here. Twisted Tales in 66 Words is a project that Kimberly Raiser came up with on Facebook a while back. 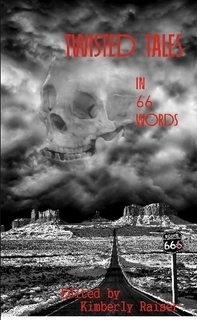 She wanted to get 66 stories made up of 66 words apiece (not counting the title), and offered to pay us…was it 6.6 cents a word, or $6.60 for each story…heck, I don’t even remember. What I do remember is that I had such a blast once I wrote one that I ended up writing a couple more. I told Ariell she should write some too. And then I sent a notice out to all my other idle writer friends on Facebook to challenge themselves if they had five minutes. This isn’t some groundbreaking work by some major publisher…it’s only 48 pages and it’s on sale at Lulu for a little over six bucks. But how much fun can you imagine friends like mine had in 66 words? The only way to find out is to buy the book. Award winning authors…. Stories to break your mind. Within these pages you will find the things that not only go bump in the night, but bring fear to the things that do the bumping. Discover your new favorite authors and let your mind wander and wonder how 66 simple words put together in the optimum use of fright can have such an impact on your slumber. Join us…. So there’s this amazing book coming out in June that you need to know about. And so the Editor ventured forth, wandering the land of Story from shore to shore, climbing massive mountains of books and delving deep into lush, literary forests, gathering together thirty-three of the best re-tellings of fairy tales he could find. 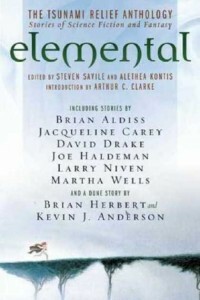 Not just any fairy tales, mind you, but tantalizing tales from some of the biggest names in today’s fantastic fiction, authors like Gregory Maguire, Susanna Clarke, Charles de Lint, Holly Black, Aletha Kontis, Kelly Link, Neil Gaiman, Patricia Briggs, Paul Di Filippo, Gregory Frost, and Nancy Kress. But these stories alone weren’t enough to satisfy the Editor, so the Editor ventured further, into the dangerous cave of the fearsome Bill Willingham, and emerged intact with a magnificent introduction, to tie the collection together. That’s right — I’m in a ToC with Birthday Boy Jim C. Hines (Happy birthday, Jim!) 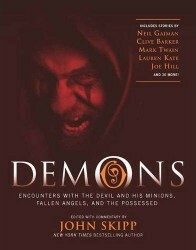 and, once again, that pesky Neil Gaiman fellow. I’m not complaining at all. I mean, have you seen that cover? It’s GORGEOUS!I am so honored that John asked me to be included. And if you like, you can preorder it now straight from Nightshade books. b.) All proceeds still benefit the Save the Children Foundation. Save the Children currently has relief workers in Japan, helping children in need. 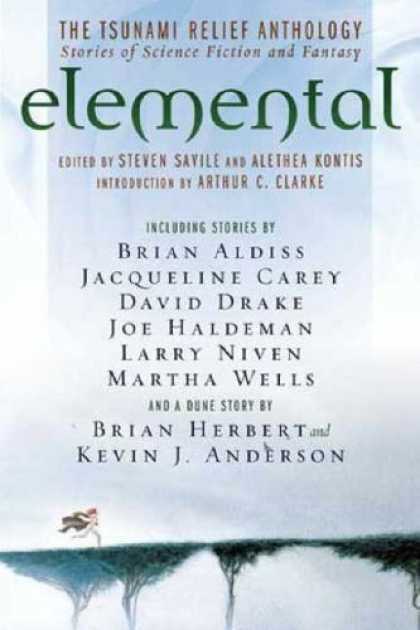 If you have not yet purchased a copy of this wonderful book chock-full of fun science fiction and fantasy stories form your favorite authors, now’s a good time to do so. 17.) You can also text “JAPAN” to 20222 to donate $10 straight to @SavetheChildren for Japan relief. Hooray! 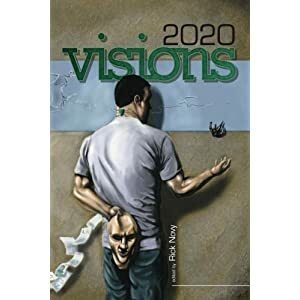 The 2020 Visions anthology, edited by Rick Novy, is now available on Amazon! 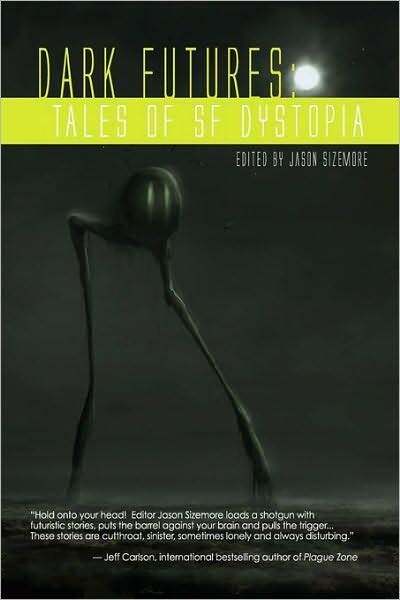 This volume of near-future SF stories (so near that you’ll actually be around for them when they happen), includes my story “Pocket Full of Posey.” I can’t wait to get my hands on my contributor copy. I love this cover. Get 2020 Visions now, in book form, for only $13.95. You’re ordering books for Christmas anyway — tack it on to the end of your order to bump your total up to free shipping.I assure you, it will be worth it. 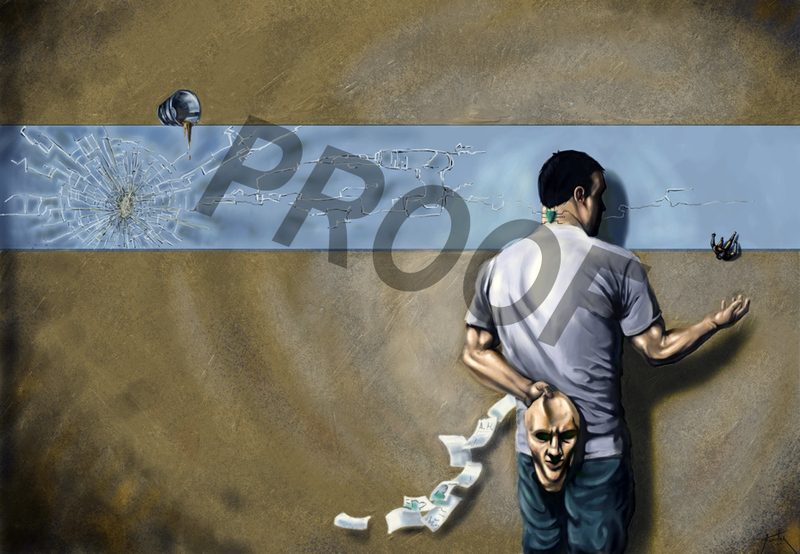 The picture above is a proof of the 2020 VISIONS cover image by artist Jonathon Fowler, inspired by Alex Wilson‘s story “Nervewrecking.” I’m a big fan of Alex, and now a pretty big fan of Jonathan, too. The titles and whatnot will be added soon, but I love seeing the art before all the text is put on top. It has an entirely different feel. Publication of 2020 Visions is set for November 15. M-Brane is offering a pre-order special for the print edition starting immediately: $13.95, shipping included, plus a complimentary one-year electronic subscription to M-Brane SF Magazine. (Apologies to readers outside the US, but they can’t offer this special outside the US at this price due to shipping costs, though the book will be available in other normal channels after publication.) US domestic readers may click here and use the Pay Pal button to place their order (one does not need a Pay Pal account to use Pay Pal; credit cards and e-checks may be used by way of Pay Pal). $13.95, shipping included, plus a complimentary one-year electronic subscription to M-Brane SF Magazine. With a deal like that, how can you resist? I have been notified that Zero Gravity, one of the anthologies I’m in this year from Pill Hill Press, has been selected to be released as one of their Limited Edition Hardcovers. These Limited Editions are only available from the Pill Hill website (click here). They are available through December 31st, 2010. Zero Gravity will be available in late September, and is only $19.99. That’s right! For only a few bucks more than the paperback, you can get a hardcover! So why wouldn’t you? Click on over and order yours now! Junker’s Fancy By Rosemary Jones, Leech Run By Scott W. Baker, A Space Romance By Paul A. Freeman, Hawking’s Caution By Mark Rivett, Parhelion By David Schembri, To Stand Among Kings By Kenneth Mark Hoover, The Unicorn Tree By Alethea Kontis, The Beacon of Hope By Gregory L Norris, Tangwen’s Last Heist By C.B. Calsing, The Stand-Ins By Gef Fox, Glacier Castle By Will Morton, Rescue By Margaret Karmazin, At One Stride Comes the Dark By Murray Leeder. Trade paperback, 278 pages of dystopian SF…Dark Futures is here! Inside Dark Futures is “Black Hole Sun”, my short story collaboration with Kelli Dunlap. According to the online bookstores, Dark Futures is already available. (only $10.76 at Amazon and B&N) Isn’t technology great? Kelli and I will begin Tweeting the end of the world from Seth and Sunnie‘s Twitter accounts on September 30th. Follow us on Twitter to continue their story, or type in hashtag #blackholesun (which I swear I will try to remember to do). Not had enough fiction with Soundgarten titles? There’s a great book with the same title out this summer: Black Hole Sun by fabulous YA author David Macinnis Gill. I loved Soul Enchilada and can’t wait to sink my teeth into this one. It’s got space crabs! !